8Ball & MJG “Mr. Big” Comin’ Out Hard 1993 A gangsta-walk anthem and the group’s first big hit, “Mr. Big” slashed through clubs down South like a hot knife through butter. 8Ball & MJG “Lay It Down” On The Outside Looking In 1994 Although this album was tame compared to Comin Out Hard, “Lay It Down” was fightin’ music at its best. 8Ball & MJG “Space Age Pimpin’” On Top of The World 1995 8Ball & MJG’s answer to Outkast’s “Funky Ride.” Champagne, weed, and stout sistas in negligee - oh boy! 8Ball & MJG “Just Like Candy” Suave House: The Album of The Year 1996 This ode to candy-painted Chevys is a true Southern classic. Tela f/ 8Ball & MJG “Sho Nuff” Piece of Mind 1996 This is actually Tela’s single, but labemates Ball & G blaze the Jazze Pha track so hard, you’d think it was theirs. that Ball & G were reaching audiences outside the Dirty Dirty. Having nowhere near the impact of Comin’ Out Hard, their sophomore release did include the “get buck” classic “Lay It Down” and further established 8Ball & MJG’s credibility in the music industry. By far their crowning achievement, the group’s third album On Top Of The World was a sonic journey through the life of one of the South’s most influential rap teams. Debuting at Number 2 on Billboard behind the Dogg Pound’s Dogg Food was no small feat for two country playas during the G Funk Era, but Ball & G managed to pull it off. On Top Of The World revealed a more socially, spiritually and creatively sharp 8Ball & MJG. They urged listeners to avoid the evils of casual cocaine use (“Funk Mission”), to be wary of less-than-genuine associates (“Friend or Foe”) and detailed the struggle hustlers experience trying to leave the game behind (“What Can I Do?”). Social introspection aside, the boys from Orange Mound still slipped in one for the playas with “Space Age Pimpin’.” The success of On Top Of The World opened many doors for the duo, including solo projects. 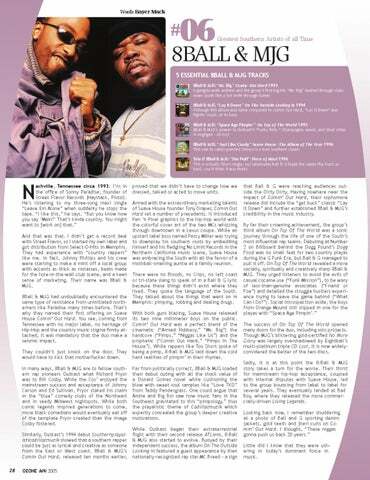 Though MJG’s blistering gold-certified No More Glory was largely overshadowed by Eightball’s multi-platinum triple CD Lost, it is now widelyconsidered the better of the two discs. Sadly, it is at this point the 8-Ball & MJG story takes a turn for the worse. Their thirst for mainstream hip-hop acceptance, coupled with internal disputes with Suave House, led to the group bouncing from label to label for several years. They eventually landed at Bad Boy, where they released the more commercially-driven Living Legends. Looking back now, I remember shuddering at a photo of Ball and G sporting denim jackets, gold teeth and jheri curls on Comin’ Out Hard. 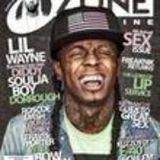 I thought, “These niggas gonna push us back 20 years.” Little did I know that they were ushering in today’s dominant force in music.